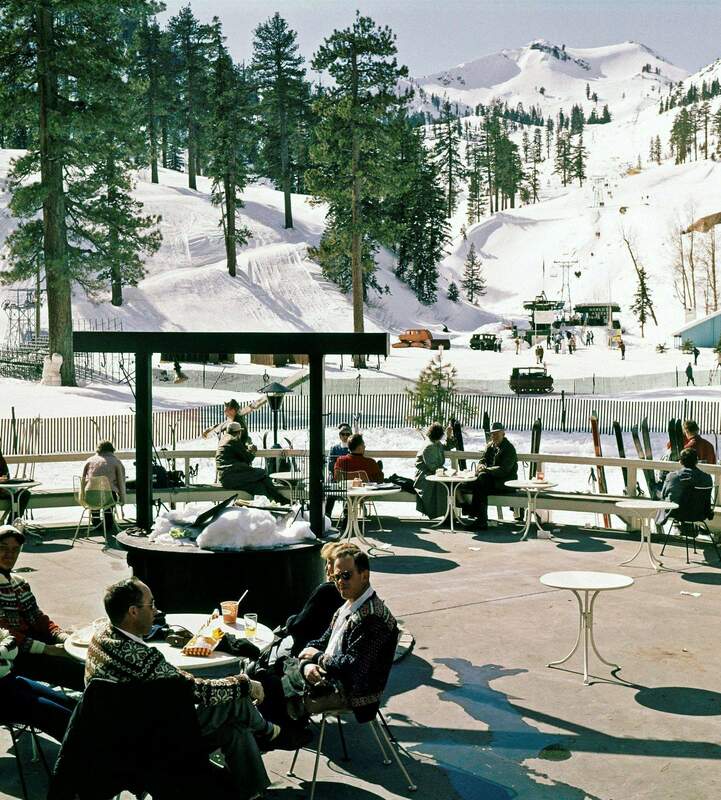 In this Feb. 1, 1960, file photo, the Squaw Valley resort in California hosts the 1960 Winter Olympics. Owners of the Lake Tahoe-area resort have agreed to sell Squaw Valley USA to a Colorado-based investment firm thats pledging $50 million in improvements over the next five years. 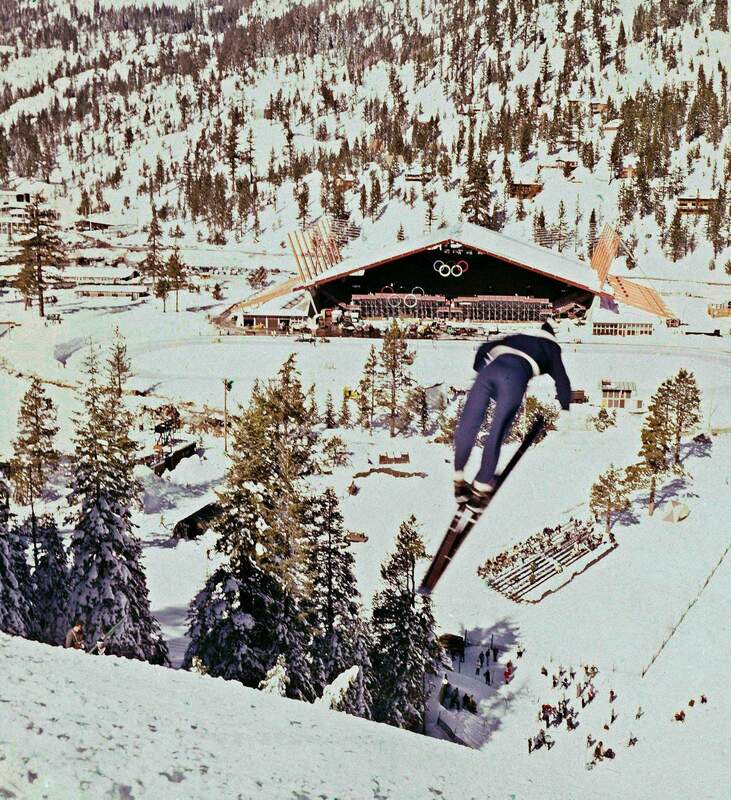 A ski jumper during the 1960 Winter Olympics shows is form at Squaw Valley. The resorts new owners pledged to return Squaw Valley to international prominence. RENO, Nev.  Owners of the Lake Tahoe-area ski resort that hosted the 1960 Winter Olympics have agreed to sell Squaw Valley USA to a Colorado-based investment firm thats pledging $50 million in improvements over the next five years, company officials said this week. KSL Capital Partners LLC entered into the agreement to acquire the majority of the shares of the Squaw Valley Development Co. in a deal that includes the California resorts ski operations, the Village at Squaw Valley and related real estate holdings, Squaw Valley President and CEO Andy Wirth told The Associated Press. Wirth said the sale price wont be made public, but he confirmed in an interview with AP early Tuesday that KSL agreed to $50 million in capital improvements over three to five years at the resort atop the Sierra Nevada, about 40 miles west of Reno. Eric Resnick, KSLs co-founder and managing director, said the Denver-based firm specializing in travel and leisure was enticed by the history and future potential of what has become one of the largest and best known ski resorts in the world since it opened in 1949. Its founder, Alexander C. Cushing, was credited with helping launch the sport in the United States by landing the 1960 Winter Games. With Squaw Valley USA, Alex Cushing made a profound impact on the snow-sports industry and were honored to build upon the resorts legacy, Resnick said in a statement. KSLs properties include Vail Mountain Lodge in Vail, The Homestead in Hot Springs, Va.; Barton Creek Resort and Spa in Austin, Texas; and Hotel del Coronado in San Diego. Wirth will remain in the position he assumed in August as president and CEO. He said the deal has the blessings of Cushings widow, Nancy Cushing. She stepped down as president and CEO this summer but remains chairman of the board and a number of family members have continued to maintain holdings in the company. This has been a family owned and operated asset with a proud heritage so there is a lot of very understandable passion for the place, Wirth told AP. It is with a respectful eye for that past that we advance Squaw Valley into a whole new era. It has lost some of its presence, lost some of its position, he said about increased competition in the form of recent capital improvements at other area resorts. Squaw Valley, with a vertical drop of 2,850 feet, covers parts of six mountain peaks over 4,000 acres  some of it with views of Tahoes north shore about eight miles away. Skiers walk into the resort under the same Olympic rings that greeted Olympians at the first Winter Games ever televised in 1960. A heavy emphasis will be placed on enhanced snowmaking, grooming and snow-surface quality, as well as improving offerings for families, including ski schools and child care programs. We know the family market and intermediate skiing market is an area for Squaw to improve on, said Wirth, who joined Squaw Valley in August after working as an executive at Intrawest in both Vancouver and Steamboat Springs. Resnick and KSL co-founder Michael Shannon have a long history in the skiing industry. Both serve as board members for the United States Ski and Snowboard Team Foundation, and Resnick is on the Organizing Committee of the 2015 World Alpine Ski Championships. Shannon was president from 1985-92 of Vail Associates, a predecessor company to the Colorado-based Vail Resorts, which bought the nearby Northstar-at-Tahoe for $63 million in October. Vail Resorts also operates Heavenly ski resort straddling the California-Nevada line at the south end of Lake Tahoe.